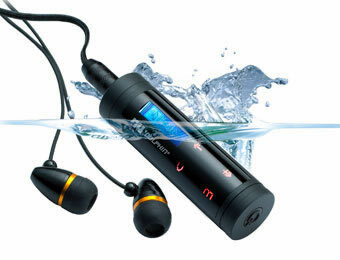 NU Dolphin have created the worlds first curved touch pad waterproof MP3 player complete with waterproof radio. The Nu Dolphin Touch is the next generation of waterproof MP3 players, with its patented curved touch screen, you can actually see what is being played whilst in the water. The Nu Dolphin Touch has a 4GB Memory that allows you to store 960 songs. The Nu Dolphin Touch includes a built in FM remote waterproof radio. Now you can listen to your favourite radio station whilst in the spa, pool or the sea.